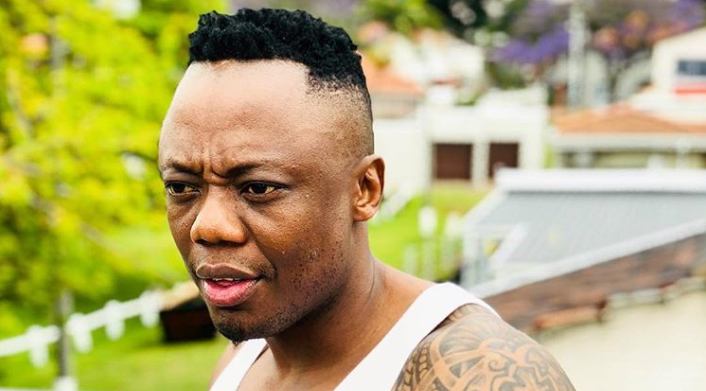 "I don't have a problem with Fill Up Moses Mabhida," says DJ Tira. DJ Tira has set the record straight following reports he is upset with Durban Tourism's involvement in Cassper Nyovest's 'Fill Up Moses Mabhida' concert. According to the Sunday Sun, the KwaZulu-Natal DJ reportedly cut ties with Durban Tourism after learning officials were allegedly spending millions on Cassper's gig. He was apparently angry that they were not investing as much in his events, which have proven to be very successful over the years. But Tira has squashed the claims he has a problem with the rapper and his concert. "I don't have a problem with Fill Up Moses Mabhida, I don't have a problem with Cassper. I support events that are happening in Durban," he said at a Family Tree briefing. The DJ added that he will be supporting #FillUpMosesMabhida, which is taking place on December 1, and so should all Durbanites. "I don't wanna fight in the media like it has happened... I just hope (that) we can all move forward, help each other, make sure ukuthi Fill Up is a success and all other events that are happening in Durban." Cassper was also present at the briefing and was seen clapping when DJ Tira was done speaking. Meanwhile, the 'Tito Mboweni' hitmaker reminded his fans this week that everyone who buys a ticket to the show will get a free album. "For those that haven’t heard yet!!!! Every ticket bought comes with an album. If we sell out this stadium we Platinum on the first day!!!! For just R100, you get to see a World class concert and you get a brand new Cassper Nyovest album. Ereng value for money mo ngwaneng ?" Moses Mabhida has a seating capacity of 85,000.